For Thanksgiving, we head down to my parents' house and hang out with all of my siblings and their spouses/kids. We are a relaxed bunch - we eat the usual Thanksgiving food courtesy of my amazing mom and play games all afternoon. If you need any last minute Thanksgiving day ideas, here are my favorites from years' past! 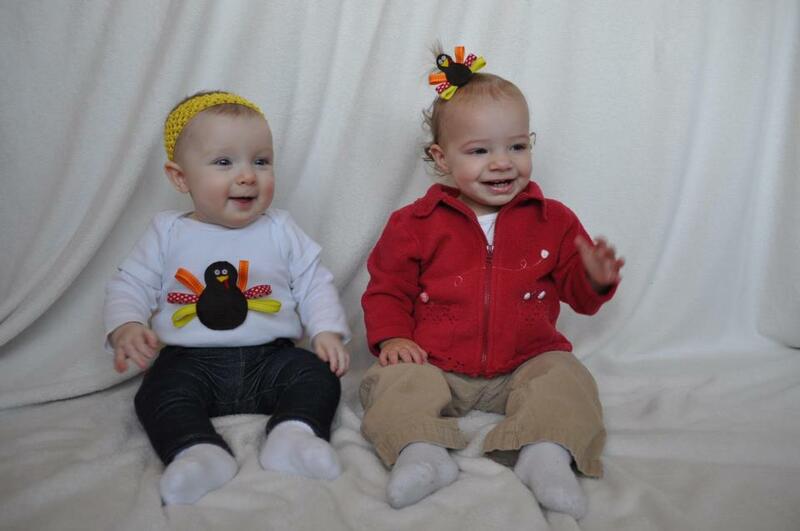 Two years ago, I made Abby a cute little outfit and Josie a matching hair bow. If you have a glue gun and can cut ribbon, this is super easy to make. It's crazy how little they look! Our girls are so grown up now! John and I are in charge of bringing a snack and drink. This Pumpkin Pie Dip is delicious - and I'm not a huge pumpkin flavored type of person. We eat it with apple slices and cinnamon graham crackers. Place in a large stock pot and heat until warm. Or, you can place in a slow cooker and keep on low for several hours (this is the method we use). 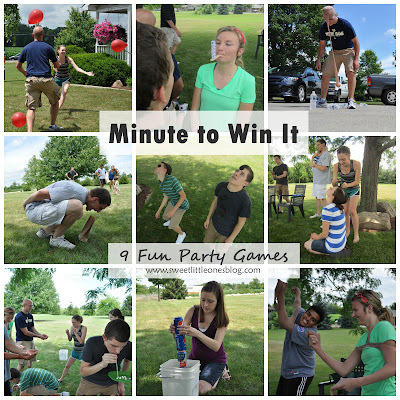 I'd imagine that Minute to Win It games would be very entertaining a holiday parties!! It is hilarious!! :) We did Christmas themed ones last year - I'll post those ones soon! Mmmm sounds like mulled wine....love it! I think I will make that turkey snack this year. Thanks for sharing! That pumpkin dip is my favorite! I just made it for a work party today and brought vanilla wafers and ginger snaps. I'll have to try the apples tho! 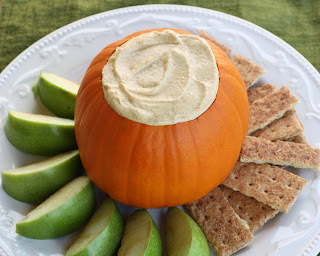 That pumpkin dip does look good, and I am not a big fan of pumpkin either. Thanks for sharing! I'm gonna bookmark this page, lots of great ideas! We were just talking about Minute to Win It games! !